Currently, the market is experiencing the age of the social media influencer at its height. Mom influencers account for those top Instagram accounts that have millions of followers tuning into every post. Of course, these types of influencers can be a handy marketing tool if you have the budget to pay for a sponsored social media post. However, small business owners do not always have those kinds of funds. Instead, you just have to learn how to get a large social media following on your own. To learn how, check out these ways mom influencers get so many followers in the post below. That way, you can replicate their successes for your own business’s benefit. Whether it’s on social media or a blog, post more frequently to grow your online audience. Becoming a marketing influencer does not happen overnight. In order to get a lot of followers online, you need to have a constant online presence. Post to your social media accounts and blogs at least once daily. If you can, try for three to five times per day. You can easily schedule posts on Instagram or other accounts. This will help your business’s marketing posts get viewed and engaged with. If you want more followers to interact with your brand online, start posting more frequently. Share valuable content that existing followers and non-followers alike will appreciate. Of course, the definition of valuable content depends entirely on your business’s target audience online. For a small business like yours, you want to consider what types of posts and blogs your target demographic is most likely to value. Then, begin tailoring your content to those exact tastes. It will also make them much more likely to share your business content with friends and family. 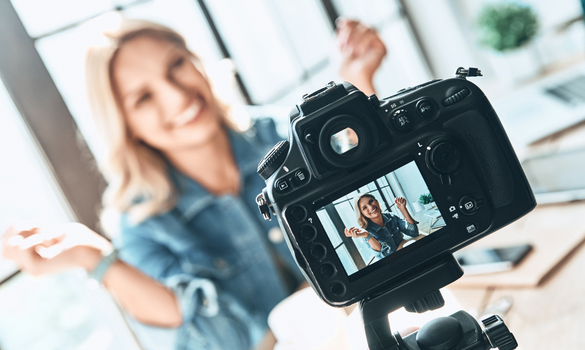 If you want to grow your following like the top mom influencers on social media, make sure to push out valuable content to your target audience. Follow similar social media influencers’ accounts on your business profile. When you follow others, they are much more likely to follow you. As you will notice, mom influencers all follow each other. Some of them use an influencer marketing platform to identify other profiles to collaborate with. Every person or business on social media feels a small bit of joy and gratitude when they get a “new follower” alert on their device. You can leverage that gratitude to gather more followers for your business Instagram account. This is one of the simplest ways mom influencers get so many followers online, by following others. If you want to become an influencer, you need to start engaging with your desired online community. Once you start following other similar accounts, start liking and commenting on their posts. You can even comment on their popular industry blogs with your business account. That way, you can drum up interest within your business target audience. Then, more people will see your likes and comments. As a result, you will certainly see a boost in your business website traffic. You can gain millions of followers by being an incredibly active member of a particular online community. Craft a clever hashtag that is specific to your small business brand. Then, begin to use that hashtag whenever you post. You should also include other popular hashtags that are relevant to your area of business. By creating a clever, unique hashtag for business, you will help to establish a trend that other social media followers will want to imitate. Once followers start using your hashtag, you will quickly gain more followers. These social media tactics will help you boost your online presence and become an influencer that everyone knows. There are many different ways that mom influencers get followers. Use these social media marketing tactics to help grow your online following for business. When implemented consistently over time, you can quickly become an influencer with tens of thousands of followers. Then, you can use your base to promote organic social media campaigns. Clearly, mom influencers have led the way for reaching millions of people online. Fortunately, your business can do it too.